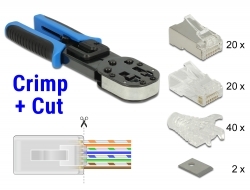 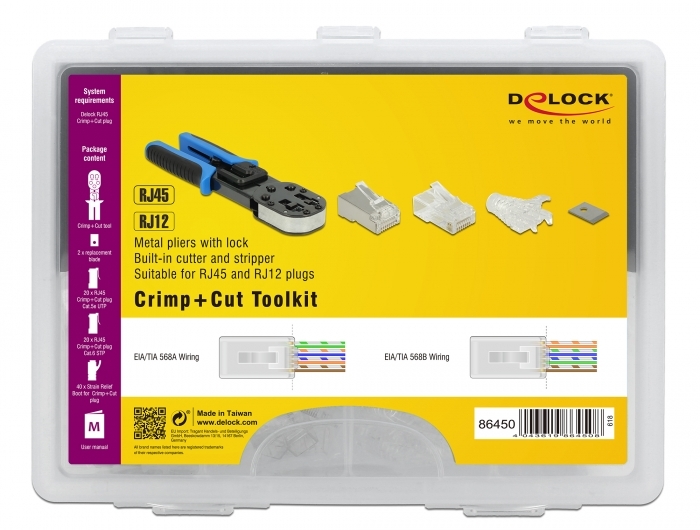 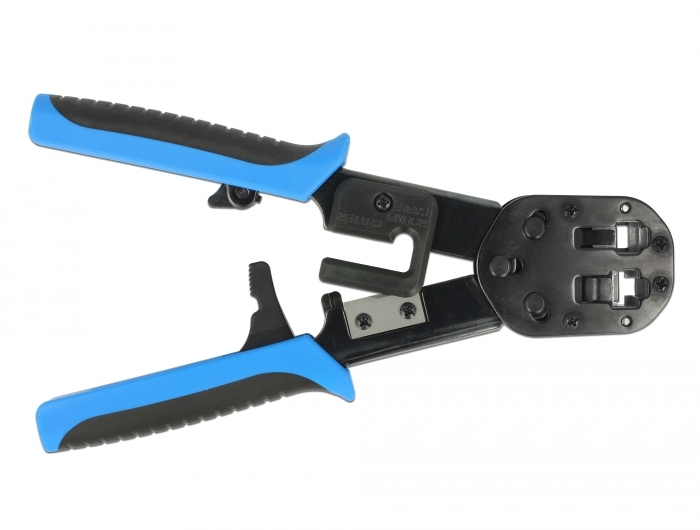 With this toolkit by Delock and the matching Crimp+Cut connectors, a network cable can quickly and easily be connected to an RJ45 plug. 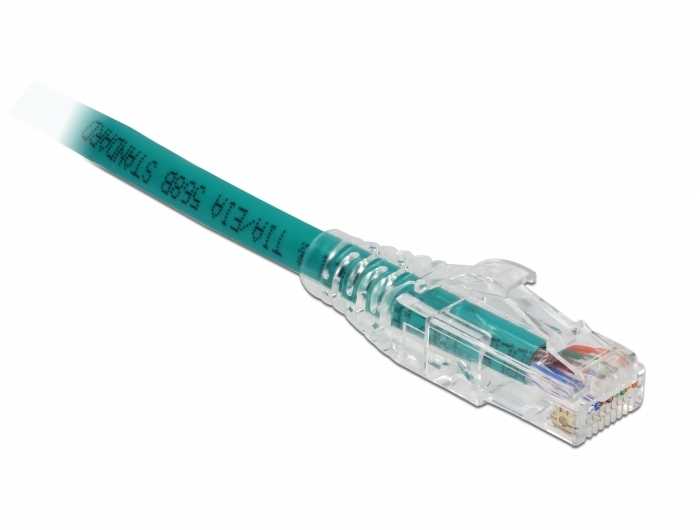 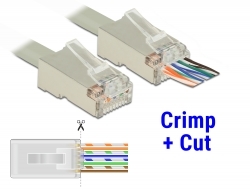 The RJ45 Crimp+Cut plug allows leading the wires out to the front; this speeds up the installation and the wiring order can be checked. 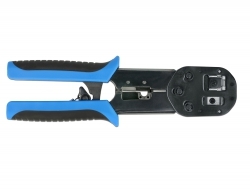 At the same time, the performance is improved because the wire pair remains twisted close to the connector. 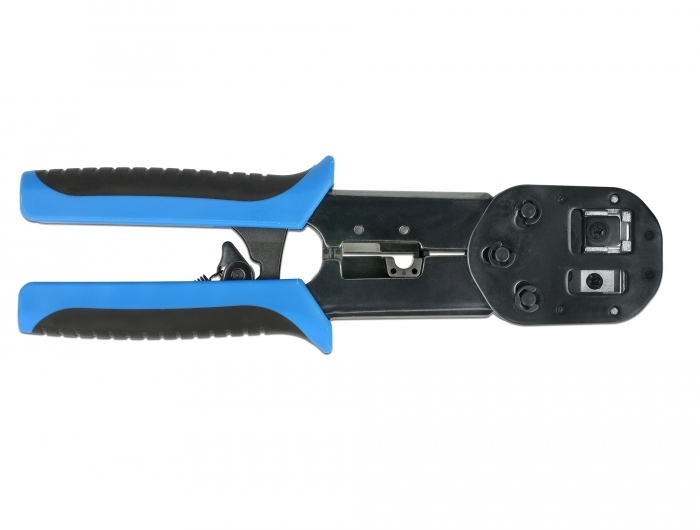 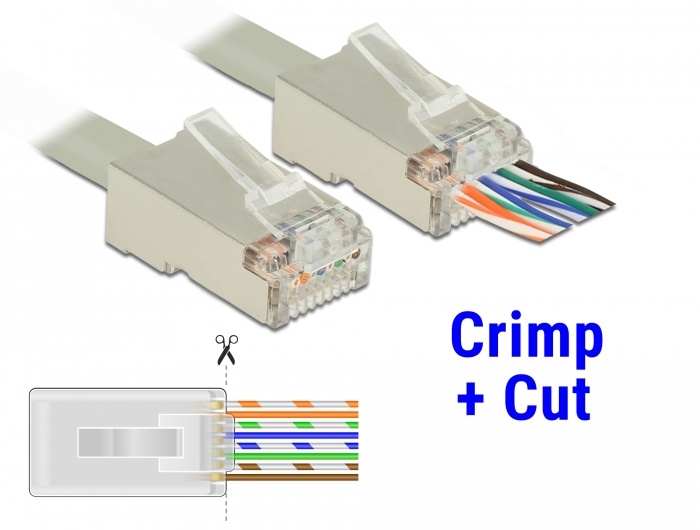 When crimping, all wires are contacted simultaneously and the excess cable ends are cut off.